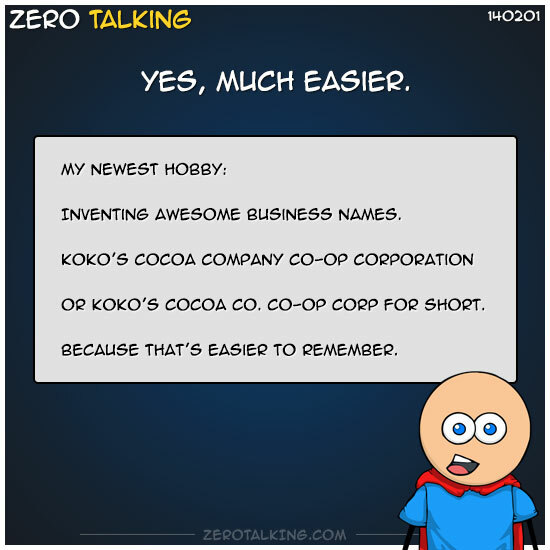 Or Koko’s Cocoa Co. Co-op Corp for short. Because that’s easier to remember.